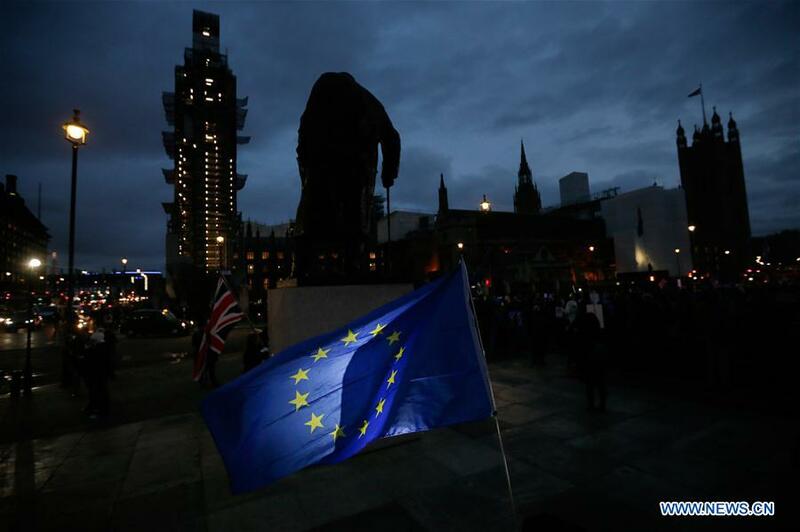 British businesses urged the government to take an immediate action to introduce a "Plan B" after Prime Minister Theresa May's Brexit deal was rejected overwhelmingly in the Parliament on Tuesday night. Catherine McGuinness, policy chair at the City of London Corporation, tweeted that "parliament's decision to reject the Government's deal means businesses across the UK will continue to face uncertainty." "The Government must urgently set out its 'Plan B' to ensure we can secure a deal locking in a legally binding transition before 29 March," McGuinness said. Carolyn Fairbairn, director general of the Confederation of British Industry (CBI), said "Every business will tonight feel no deal is hurtling closer. A new plan is needed immediately." She noted that it is time for the politicians to make history as leaders. "All MPs need to reflect on the need for compromise and to act at speed to protect the UK's economy." Companies that have business with the UK are also in jittery. Michael Strobaek, global chief investment officer of Credit Suisse, commented that "People, business and financial markets in the UK need certainty on future UK-EU relations." "Tonight's parliamentary vote merely heightens the uncertainty," he added. The UK members of Parliament (MPs) voted 432 to 202 against the Brexit deal after a five-day debate, further complicating the country's historic exit from the European Union (EU). Prime Minister Theresa May has three sitting days to return to parliament with a "Plan B". Labor leader Jeremy Corbyn tabled a motion of no confidence in the government following the deal defeat. The motion will be debated in the Commons on Wednesday. ​British businesses urged the government to take an immediate action to introduce a "Plan B" after Prime Minister Theresa May's Brexit deal was rejected overwhelmingly in the Parliament on Tuesday night.